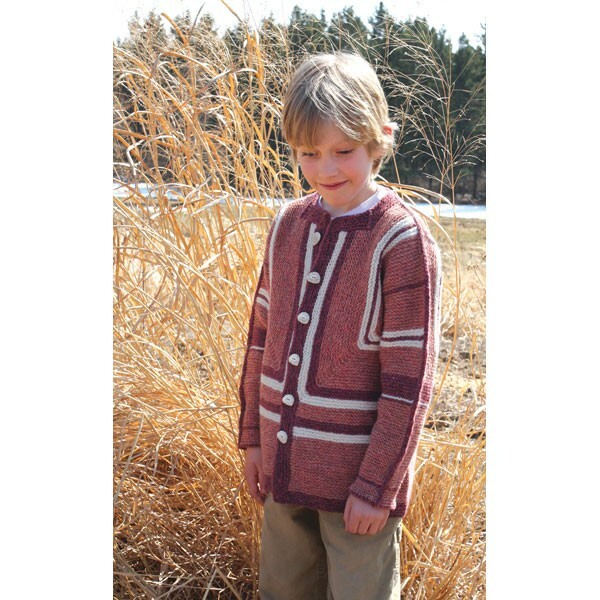 Check out our newest Surprise offering, the Garter Stitch or Fair Isle Surprise Vest. The ABC-SJ (Adult, Baby, Child's Surprise Jacket). Elizabeth Zimmermann's Baby Surprise Jacket has truly proven to be timeless, growing in popularity since its conception in 1968. 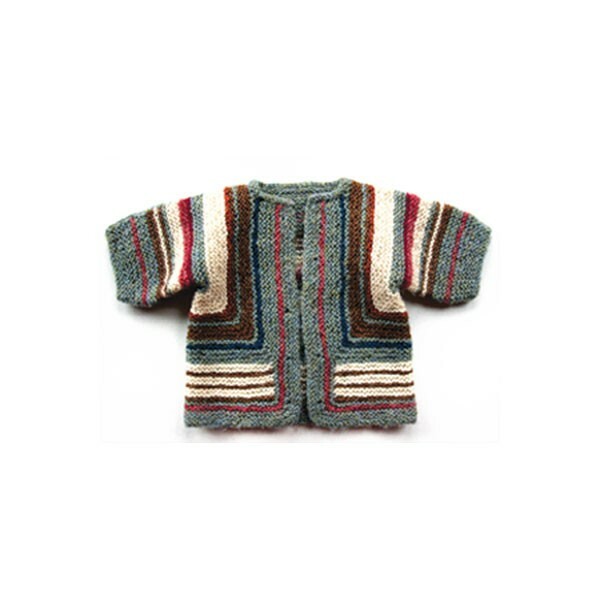 The Jacket is knitted back and forth in Garter stitch, then cleverly folded and completed by weaving the shoulder seams. 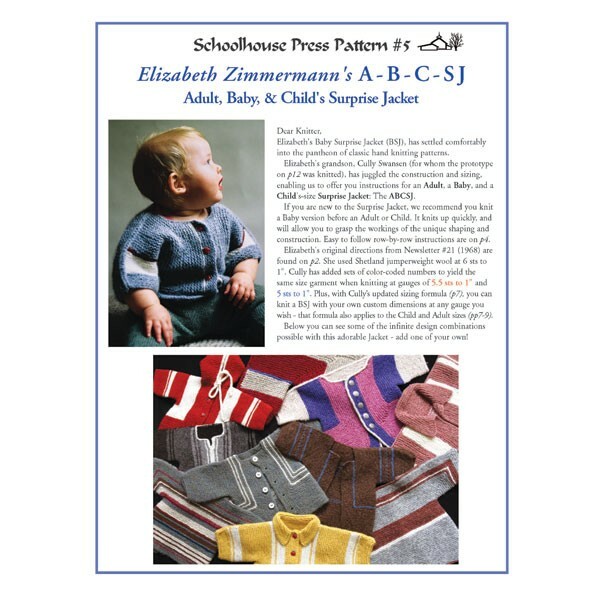 Schoolhouse Press now offers the Baby Surprise Jacket pattern, The Complete Surprise book, which includes the Baby Surprise Jacket pattern and new surprise designs, and a revolutionary new product, the EZ Knitting Calculator for Surprise Jackets, which allows you to generate row-by-row instructions for any size surprise jacket. Choose one or more below. 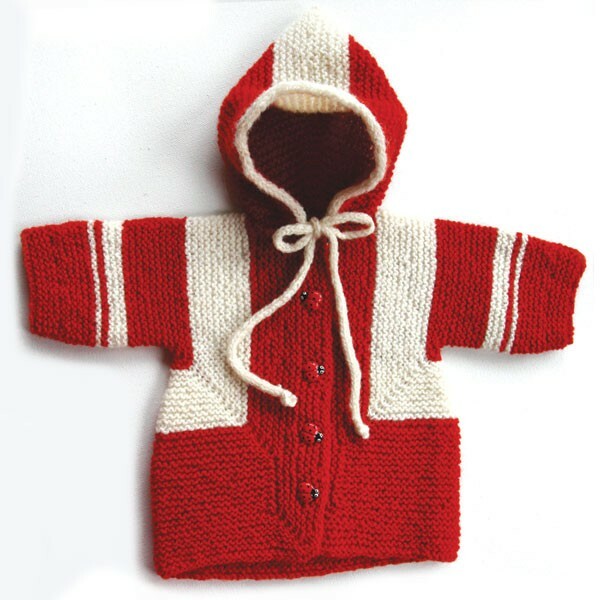 The updated pattern includes Elizabeth's original Baby Surprise Jacket instructions, and now - thanks to Elizabeth's grandson Cully - there are new instructions for custom sizing the Surprise Jacket for anyone: baby, child, or adult. Knit from row-by-row instructions for Elizabeth's original BSJ numbers, or follow step by step instructions to size your own with the dimensions, yarn, and gauge of your choice. Includes notes on color placement, options for hood, collar and more - plus instructions for EZ's Afterthought Pocket, One-Row buttonhole and more. The print version comes in a 3-hole, archival quality sheet protector. 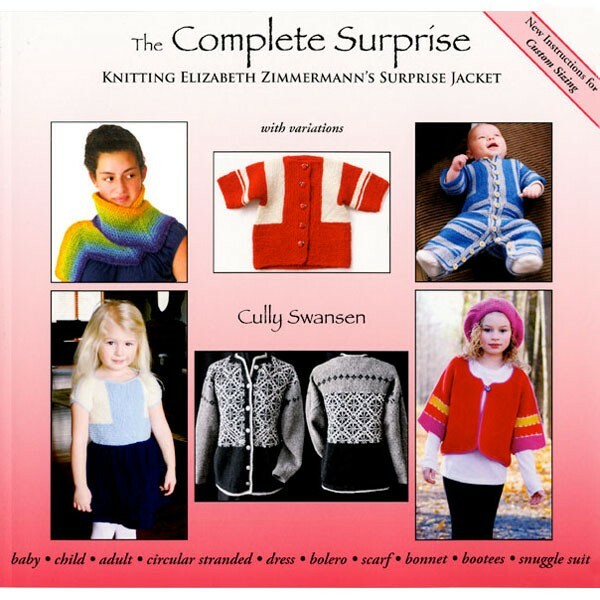 The first of our newest surprises for knitters, The Complete Surprise book (picture in thumbnails at left) includes everything you will find in the pattern, such as EZ's original instructions and Cully's new custom sizing, plus the Circular Stranded Surprise Jacket for two-color knitters, and the newly designed Surprise Dress, Surprise Shrug, Surprise Snuggle Suit. There's even a Surprise Scarf, which is a fun learn-to-knit project for beginners and an elegant garment for all. 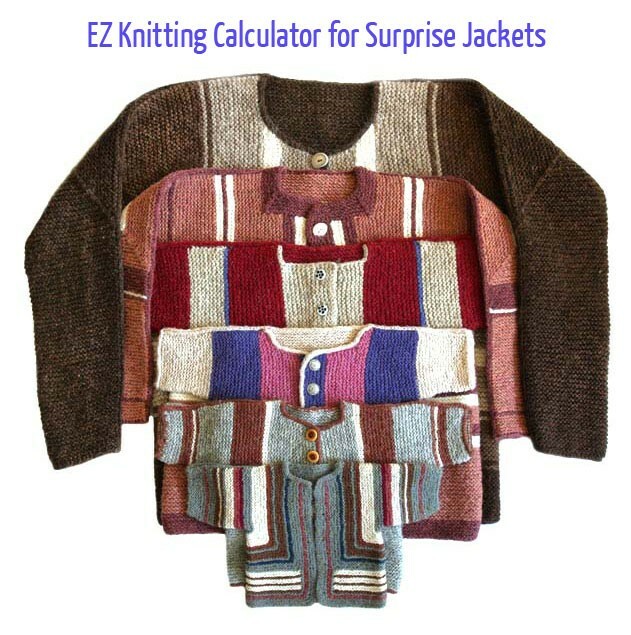 Add our second new surprise, the EZ Knitting Calculator for Surprise Jackets to either the pattern or the book. The calculator is a digital product; you choose the dimensions and gauge you want and the Calculator generates easy to follow row-by-row instructions for your custom-sized baby, child, or adult Surprise Jacket for print or download. The pattern or the book gives you all the technique instruction and variations you need, while the calculator makes sizing the jacket for baby to adult simple. Translations: One free translation of EZ's original baby surprise jacket instructions in German, Icelandic, French, Italian, Spanish, Portuguese, Danish, or Swedish with purchase. If purchasing the digital version of the pattern, email info@schoolhousepress.com to ask for a translation. If ordering the print version of the pattern, let us know in the comments section of the order that you would like a translation.